European integration and British membership: Still an intergovernmentalist story? 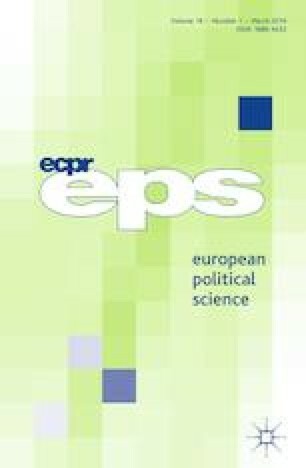 This article compares the formation of national preferences and interstate bargains for the two historical decisions on British membership, the accession of the UK to the European Communities and British exit from the European Union. While both resemble in their procedure to overcome intra-party division by announcing a referendum about the outcome of interstate bargains, the closer inspection suggests a transformation from a socioeconomic toward ideological foundation of the national preference on British membership and from intergovernmental bargaining effectiveness toward two-level game (in)voluntary defection.